The Wall Street Journal relegated the climate march to a small section inside the paper having important news for the front page and even then concentrated on the arrests of demonstrators and not the end of the world is nigh message the true believers felt appropriate. 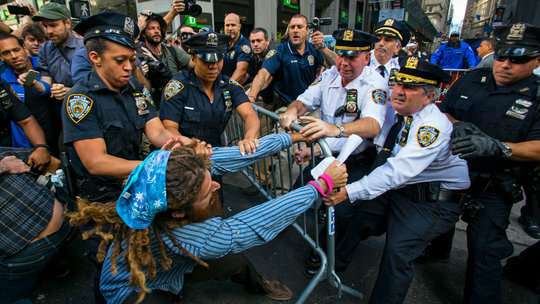 More than 100 demonstrators were arrested in lower Manhattan on Monday after blocking traffic along Broadway for hours as part of a climate-change rally. The protest, called Flood Wall Street, included a brief march and a sit-in around the Charging Bull statue in the Financial District. The Guardian is upset that the WSJ is taking such a rational approach to the march. 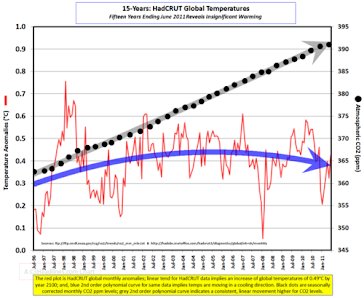 Perhaps the fact that it hasn't warmed in two decades and global warming is no longer real news has something to do with it. 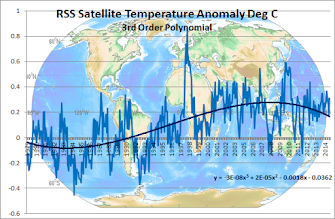 It also goes into damage control on an article by Steven Koonin on climate model inaccuracy preciously reported here. As has become the norm for media outlets owned by Rupert Murdoch, just before a half million people participated in the People’s Climate Marcharound the world, The Wall Street Journal published an opinion piece downplaying the risks and threats posed by human-caused global warming. The editorial was written by Steven Koonin, a respected computational physicist who claims to have engaged in “Detailed technical discussions during the past year with leading climate scientists,” but who is himself not a climate scientist. There is well-justified prudence in accelerating the development of low-emissions technologies and in cost-effective energy-efficiency measures. Any serious discussion of the changing climate must begin by acknowledging not only the scientific certainties but also the uncertainties, especially in projecting the future. But Koonin himself got the certainties wrong. For example, we know that humans are the main cause of the current climate change, responsible for about 100% of the global warming since 1950.